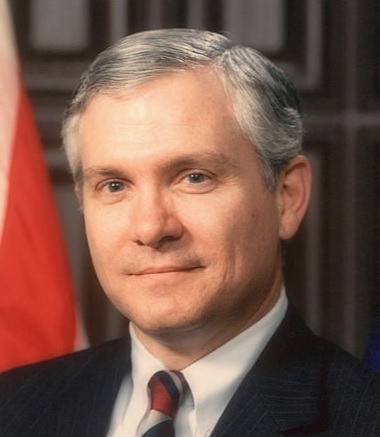 Robert Michael Gates (born September 25, 1943) was the 22nd United States Secretary of Defense. 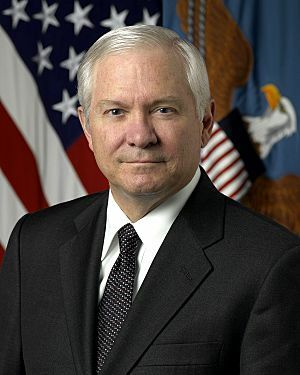 He took office on December 18, 2006 under George W. Bush and Barack Obama's administrations until his retirement on July 1, 2011 Prior to this, Gates served for 26 years in the Central Intelligence Agency and the United States National Security Council. Under President George H. W. Bush, Gates served as Director of Central Intelligence. He was also president of Texas A&M. He is currently Chancellor of the College of William and Mary. 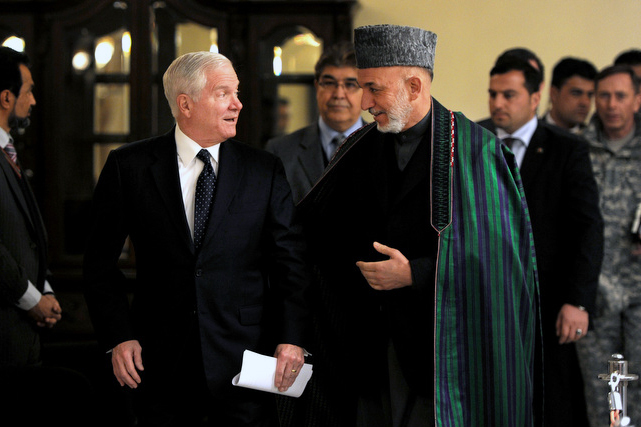 Robert Gates Facts for Kids. Kiddle Encyclopedia.